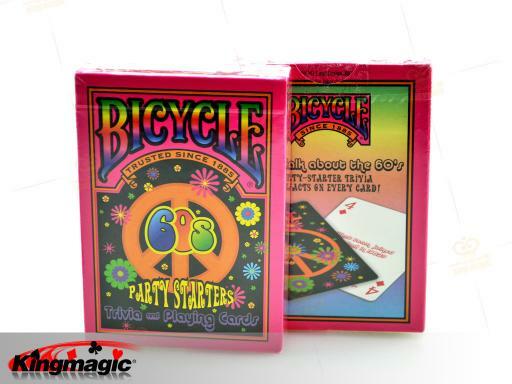 Here's a fun deck of Bicycle Playing Cards featuring a unique 1960's design with a trivia question from the 60's on every card face. You get 54 different questions and answers (52 normal and 2 jokers) about pop culture from the 60's. 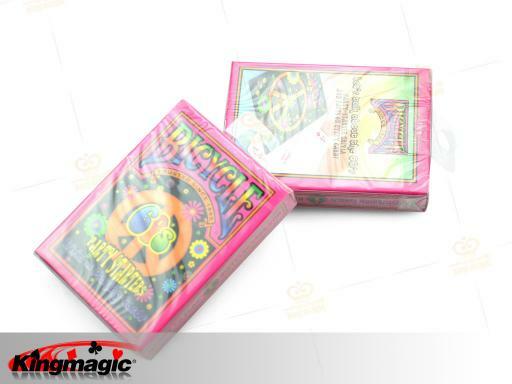 The card back design features the peace symbol and lots of flowers.